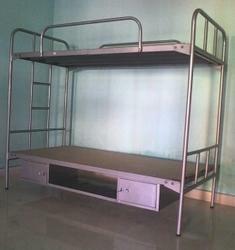 Manufacturer & Supplier of Steel Bunk Bed Without Bottom Box. Our product range also comprises of Ergonomic Chairs, Executive Office Chair and Conference Tables. The bed should be customerised or fixed model. Looking for “Steel Bunk Bed Without Bottom Box”?